Microwave ovens have become an essential item for many caravanners and motorcaravanners, but if you want to retro-fit one to your vehicle, it’s important to purchase a microwave that is suitable for caravanning purposes. This guide will inform your decision. A microwave’s power rating, eg. 600W or 800W, is the cooking power only, and is approximately half the power input requirement of the microwave – so it’s important to establish the exact power consumption before purchase. There is also a heavier power demand when the microwave first starts up, so a 5-amp site supply would not be adequate and therefore the microwave must not be used on pitch outlets limited to this value. 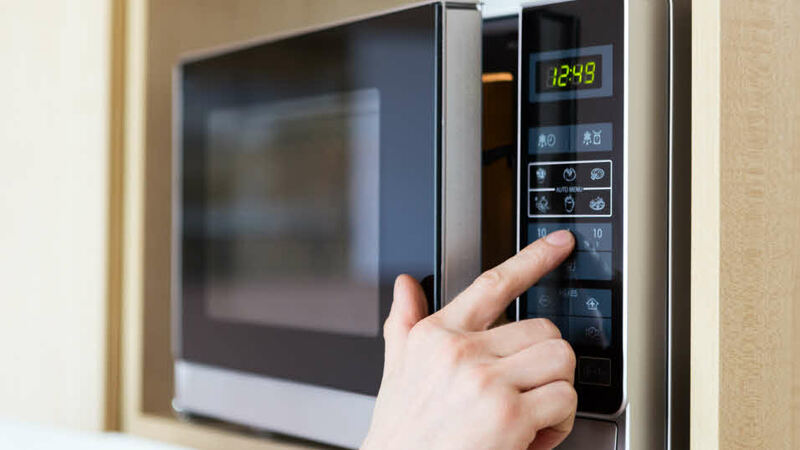 Even a 10-amp supply may be inadequate, so it is important to bear in mind other appliances which may also be in use at the same time as the microwave, and the site supply you normally use, before deciding which microwave would be suitable. UK Club sites typically offer 16 amps. Refer to the manufacturer/retailer for advice as to whether they would consider their product adequate for the supply available. European site hook-ups offer between 3 and 20 amps, with an average of between 6 and 10 amps, although some sites will allow members to upgrade – ask at site reception if upgrades are available. But realistically, many European site hook-ups will have insufficient power for a microwave oven. Microwaves are designed to be placed on a stable surface, with sufficient clearance/air circulation and heat resistant surfaces. Consider if the space limitations of a caravan meet any other installation requirements relating to air circulation and also ask the manufacturer if the unit will be robust enough to cope with the motion of a caravan. Also check whether the warranty conditions will be invalidated if used in a touring caravan. Check the weight of the microwave before purchase and remember to ensure that you have sufficient payload available to carry it. While it seems fair to assume that lower power settings will be less problematic than using full power, it is impossible to state with 100% confidence that this will always eliminate power supply problems. If you have problems with power supply, however, using a microwave on a lower setting may help. When purchasing a motor caravan or caravan already fitted with a microwave oven, make sure that it is not positioned too high for you to comfortably place your dish in the microwave without reaching up and, more importantly, removing it, when it will be very hot and there is a real likelihood that hot food or liquid will spill. This advice also applies if you are considering fitting one yourself. Always check that the installation of an after-market accessory does not invalidate your Warranty.